In a city that now contains ride-hailing apps for tuk tuks and taxis, as well as the existing motorbike taxis and tuk tuks on most street corners, the bus system is still a welcome addition. 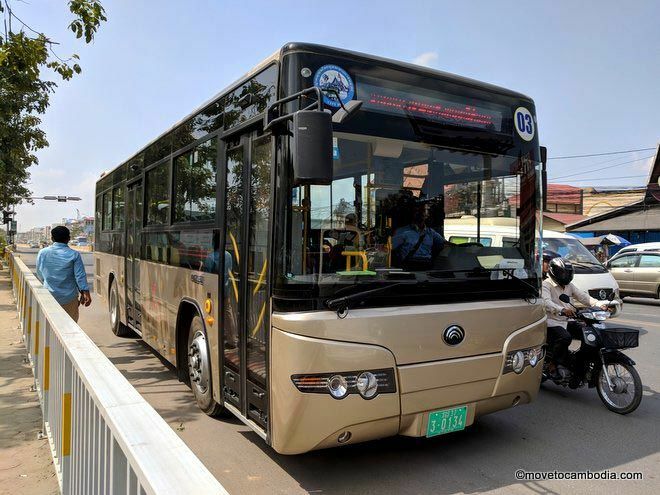 Phnom Penh’s public bus system has recently expanded to eight routes, and finally offers a service that is useful to residents and visitors alike. Yes, they can be slower than other transport on the capital’s increasingly traffic-clogged streets, but the bus system is a much more comfortable way to endure a traffic jam. Tickets for a single journey cost 1,500 riel, less that $0.40 USD, on air-conditioned new buses courtesy of China, and services run from 5:30 a.m. until 8:30 p.m. It’s worth noting that you will need a new ticket for each bus you get on, so make sure you have plenty of riel notes if planning to hop buses. Bus stops are a mixture of covered seating and more simple signposts, and all contain the route map for that particular bus route. However, to get the most use from the system, download the free “Stops Near Me” app. Not only does it show the full route map for all buses and marks bus stops in English, but it also live tracks buses so you know when the next one is arriving. You can download the app for free from Google Play or Apple App Store. The new buses are safer than motorbikes and tuk tuks, and remove the threat of bag/phone snatching. You don’t need to negotiate prices. The air conditioning offers a respite from the heat, noise, dust and smells of Phnom Penh streets. It is by far the cheapest option, even for short journeys. A bus on Route 3 from the night market to Phnom Penh airport is only $0.40 cents, while a street tuk tuk will be $7 with some haggling, and an app-hailed taxi closer to $8. Route 1: Traverses vertically for much of the city, from the Cho Ray hospital on National Road 1 in Chbar Ampov (on the way to Vietnam), passes over Monivong bridge, up Monivong Boulevard, past the French Embassy and continues up along Highway 5 past the Cham muslim community and the Ammar Ebn Yasser mosque. Route 2: Another vertical route, goes from Takhmao city in the south, up Norodom Boulevard, past Independence Monument and Wat Phnom, before heading west to northern Toul Kork neighbourhood at Aeon Mall 2. Route 3: Heading east to west, this goes from the Riverside bus depot next to the Night Market (and where many major bus and minibus services leave and depart), past the Central Market and the Airport. Route 4: Going past Wat Phnom, Central Market, and the Olympic Stadium, south of the airport it splits, with 4A going connecting with the Route 3 terminus south of the airport near National Road 3, and 4B going west to the the Extraordinary Chambers of the Courts of Cambodia (ECCC), more commonly known at the Khmer Rouge Tribunal, and terminating at the Phnom Penh Special Economic Zone. Route 5: Starts behind Aeon Mall 1 and close to Diamond Island, before heading west along Mao Tse Tung Boulevard, passing just to the north of Russian Market, and then turning to the north, through Toul Kork and terminating at Aeon Mall 2. 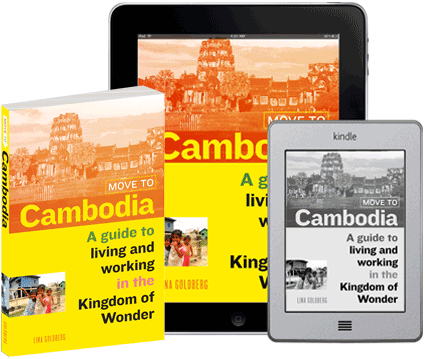 Route 6: Begins near the airport, and heads east through Toul Kork, past the French Embassy, before heading north along National Road 6 and terminating a short walk from the Silk Island ferry. Route 7: Heads south from National Road 5, through Toul Kork, past Royal University of Phnom Penh, before splitting, with 7A heading past the Olympic Stadium and Independence monument, terminating behind Aeon Mall 1, while 7B heads east over the Monivong bridge, terminating in Chbar Ampov. Route 8: Starts where Route 6 terminates, by the Silk Island Ferry, then heads further north before turning west, past the construction for Cambodia’s hosting of the 2023 SEA Games and the city’s premier golf course Garden City, before crossing the LYP bridge and back south along National Road 5 to the Route 1 and Route 7 terminus. 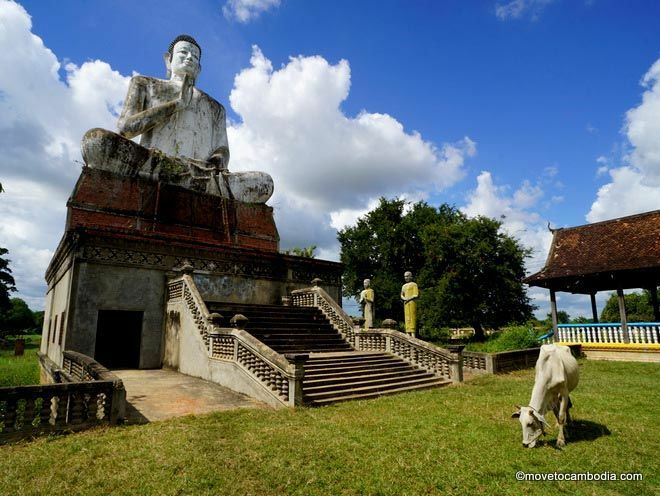 This entry was posted in Transportation, Phnom Penh and tagged bus, public transportation. Bookmark the permalink. Hi I understand the buses stop at 8:30 – does anyone know what time the last departure from the airport is? I can’t afford to wait city bus line 4B. Why it come so late. Sometime I waited for about 30 minute or 1 hour to get in the bus. I don’t know why it was like that every time. I hope I can take the bus early. That would be ok if the bus come for every 20 minute.please make it easy for our. Now recording from me I have been waiting from 5:00 and now it is 6:10 that am not yet to have a bus. Hope it change. The 3 bus is 1,500 riel. Was told they won’t take $1 and give back change from people in airport. Bus stop is to your left after you leave airport on main road. Short walk from arrival terminal. If you travel light, I’d use it. I had two big bags and they wouldn’t let me on bus. I had to pay $4 for tuk tuk on main road to riverside. $4 is a great price. Now there is a train service to and from the airport that will be easier for those traveling with bags. Are you sure that it still terminates across from the Night Market. Thank you for the useful information. Whenever I travel, I always ride the bus for budget and green reasons. This will be my first time in Phnom Penh and was deciding between a 930pm arrival on a Friday or 9am arrival on the Saturday. I see that busses stop after 830pm in your post, so it’ll be a Saturday morning trip for me ?